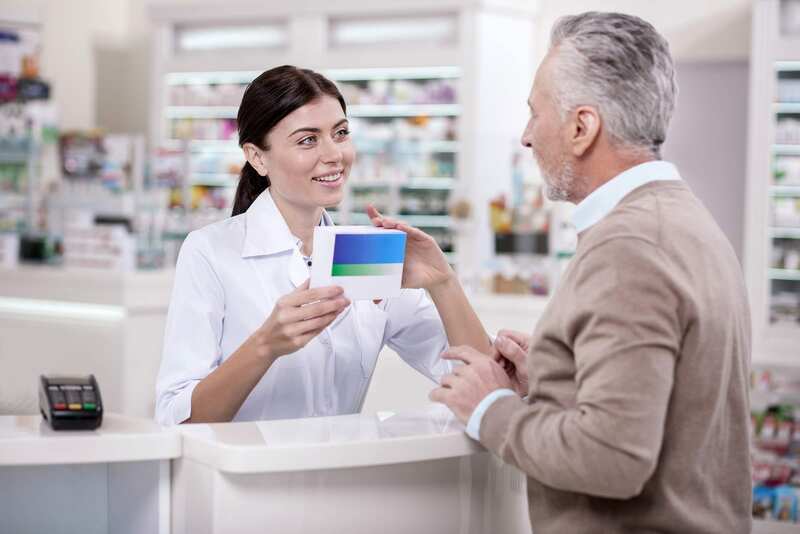 As pharmacists dedicate more time to patient care, they will need capable technicians to assist with the myriad of tasks related to the preparation and distribution of medications and the collection of payments. As indispensable members of the pharmacy team, technicians relieve pharmacists of the time and labor-intensive tasks so they can focus on patient counseling and clinical decisions. In both retail and institutional pharmacies, the technician’s role has expanded to include data collection, sterile and non-sterile compounding, procurement, marketing, customer rapport, insurance resolution, and technical tasks like updating the pharmacy management software. These are just some of the duties that pharmacists might delegate to a technician to free up the time spent on dispensing medications and focus on counseling and other patient services. Higher standards for technician training initiated in some pharmacy technician programs give pharmacists a measure of confidence in the capabilities of their technicians. National certification provides another layer of safety for the public and confidence from the pharmacist, especially as the Pharmacy Technician Certification Board (PTCB) plans to use more stringent qualifications for candidates seeking certification. By the year 2020, technicians applying for PTCB certification will need to complete an accredited pharmacy technician education and training program, have a high school diploma, and obtain criminal background clearance. The annual mean wage for pharmacy technicians in Georgia was $29,450 in 2016. Certified pharmacy technicians through the acceptance of expanded responsibilities in the pharmacy have the opportunity to earn more. North Georgia Technical College prepares students for entry in the field of pharmaceuticals through the diploma or associate degree in pharmacy technology. The program includes hands-on training in the areas of pharmacy calculations, sterile preparation, pharmacology, dispensing medications, and much more. The academic and lab components of the program emphasizes the maintenance of files and records, pouring or measuring dosages, procuring and storing supplies, and heating, mixing and dissolving liquid or soluble drugs and chemicals. The diploma program requires completion of 56 credits in four terms. The 44 credit hours of occupational courses include structure and function of the human body, medical terminology, introduction to health care, pharmaceutical calculations, pharmacy technology fundamentals, principles of dispensing medications, principles of sterile medication preparation, pharmacology, and advanced pharmacy technology principles and practicum. Students must also complete 12 credit hours of basic skills courses. The Pharmacy Technology AAS degree requires completion of 65 credit hours in 5 terms. In addition to occupational courses, students will need to complete general core course (15 credit hours). These include language arts/communication, social behavioral sciences, natural sciences/mathematics, humanities/fine arts, and a general education elective. Upon completion of the program, graduates may use their credential to apply for the Pharmacy Technician Certification exam. Tuition costs $6,880 for in-state tuition. The estimated cost of books and supplies is $1,429. The estimation does not include shoes, uniforms, lab coats, NGTC patch, criminal background check, physical exam, HBV vaccine, Board of Pharmacy registration, fingerprinting, malpractice insurance, and PTCB exam fee. The online pharmacy technician program at the Continuing Education Department of The University of Georgia seeks to give adults the knowledge and skills to become a pharmacy technician in a retail or hospital setting. Students will also be prepared for success on a national certification exam. Each student will be paired with an instructor for personalized assistance during the 400 contact hour class. Students will understand the state and federal laws that govern pharmacy, interpret physicians’ orders and read prescriptions, prepare and distribute medications, perform pharmacy calculations, process insurance claims, use medical and pharmaceutical terms and understand common abbreviations, and communicate with patients, and health care providers. Upon successful completion of the theory, students may be eligible for participation in a 40 to 100-hour pharmacy externship. The entire curriculum covers 12 modules: Orientation to Pharmacy, Pharmacy Law and Ethics, Pharmaceutical Calculations, Pharmacology I, II, III, and IV, Communication Skills and Billing, Lab Practice Retail, Lab Practice Hospital, Externship, and a Final Comprehensive Exam. Students must complete the requirements in 12 months. The tuition costs $2,495 and includes all course materials. CNU Medical Institute prepares adults for national certification as a pharmacy technicians to meet the rising need for professionals to distribute medication and health care products in community and institutional pharmacies. The training covers 160 curriculum hours in 6 weeks and an additional 80 clinical hours. Areas of concentration include pharmacy laws, disease states, drugs and their side effects, IV administrations, medication classification, drug interactions, pharmacology, dosage calculations, aseptic techniques, inventory control, and billing and insurance. Graduates will receive a Certificate in Pharmacy Technology and will be eligible to sit for the PTCB national exam.